I first started reading about QR codes in early 2008. Turns out they were invented by a Japanese company named Denso Wave in 1994. So even though I thought I was in the loop, I apparently had arrived late to the party by about 14 years.. So what are QR codes? Well QR stands for “Quick Response”, as the intended use was to decode information quickly. How is this relevant to you? In order to scan the code, you need to download a (free) QR reader app to your phone. Immediately after you scan the code, you are linked to whatever is embedded in the code. Around the same time I first read about QR codes, Polo Ralph Lauren launched their mobile initiative, and introduced us to QR codes by putting them in their print advertising. While it was a great initiative, I think America wasn’t ready for that type of technology. I was in Japan in January, and literally saw QR codes EVERYWHERE – from descriptions on plaques of holy shrines, to bus passes, to random advertising on the streets. Japan is overflowing with QR codes. America, not so much. But on February 16th, Jimmy Fallon brought QR codes front and center. 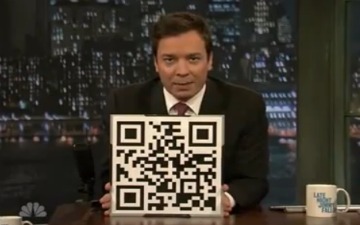 I hope that Jimmy Fallon’s awesome initiative brings America up-to-speed on QR codes and other new technology. 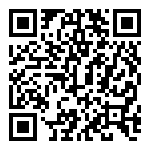 As a test, I have created my own QR code (see below). Go ahead people, download the app, join the movement. Not gonna do it. Wouldn’t be prudent. Read my lips – no new tracking codes.